Our site started out with one person. However, as time passes by, we add more and more to our team, making this a piece of work that not only us, but many more can enjoy! The beginning purpose of this page was to act as a bookmark for sources. But now, it has become the sole source of K-POP entertainment for all of us! We hope that our efforts would do you some good too. This site is covered by multiple administrators. As of now, we have a total of 5 members running this page: 1 Main administrator (in charge of running the page as a whole) 2 Post administrators (in charge of hunting the posts) 1 Graphic moderator (design the webpage and templates) 1 Technician (in charge of remixes and MP3 conversions. For this is our blog, we use it as a site to store our datas regarding K-Pop along with sharing them with online browsers. Of course, most of the datas that we obtain do not DIRECTLY come from us unless stated, therefore, we try to give credits to the original source. Everything we posted have been examined by us. If we think it's boring, we won't bother with it. We only collect the information that satisfy ourselves and maybe some others. We do have a goal: to expand this site as much as possible and make the contents available for everyone in every country. However, we are bounded by the borders of copyrighted policies and reserved contents that require money. Even as we hold a free website with music available for pirating, our staffs contributed loads of cash into buying albums legally. The only reason that these albums are available for free download is because there are many underage students who cannot afford legal music. We want our artists to be supported, and their music to be heard. Therefore, we modified the tracks as much as possible to indicate that these are NOT original tracks. We want to be able to promote our artists in addition to giving our audience the resources that they want to obtain . Since this is for entertainment purposes, we try to have fun, by all means posting the data that we feel most appropriate for entertainment. 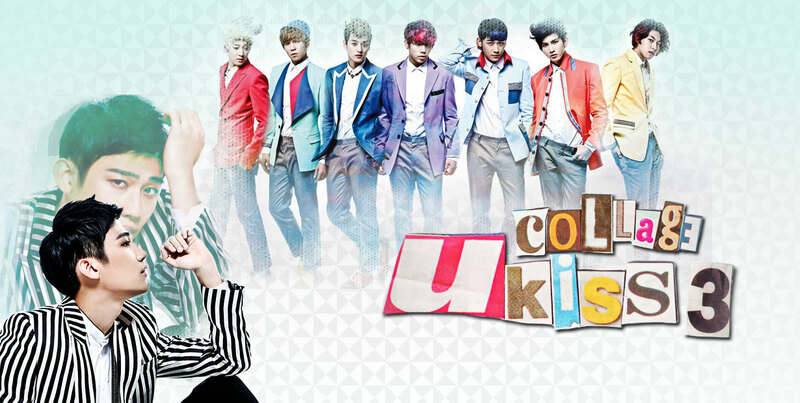 Why are the majorities of the posts about SHINee, U-KISS, and INFINITE? Our post administrators are composed of a KissMe and an Inspirit, our main administrator is a Shawol, that should explain so much. Sometime later this year we might add on to our 'post-hunters' so if you're a dedicated fan that wants to contribute, keep a look-out! What are the rankings beside the posts from Variety Shows category and the Shows category? The rankings are from the opinions of the fandoms regarding the program, we judge based on many opinions WITHIN that fandom, therefore, you could say that it's pretty accurate, notice that our critics are usually international fans, so some of the Korean cultures might not appeal to them. After all, it'd be ridiculous to have crazy fan girls from the fandoms rating a show 5/5 or an outsider from another fandom to give it a low rating, we try our best to keep it as fair as possible. The stars that each post gets mark the appeals of the show. But, our viewers might have their own opinion, so it is debatable. How do you get the MP3 files before the actual albums even come out? Magic! Well, not at all. This is why we have our beloved technician ! The MP3 is ripped directly from the MV or source that we obtain, then modified into a higher-quality version. Notice that our album covers are different from the actual covers from the real CDs, therefore, that would encourage the downloaders to grab the REAL albums to help out their artists. Remember, if you have the opportunity, get the albums legally!!! How do you guys deal with copyright policies? We... don't! As stated previously, we try to credit the sources that we get things from. If they have an issue regarding our posts, we will immediately take it down. However, some amounts of our posts actually come from our team. Our main administrator subs the videos, and our technician revises them, he also does the videos for the remixes and such. Why are there no news feed regarding the groups? Are you guys mainly focusing on boy groups? Yes, but who knows how things might change. We're only focusing on boy groups because we are dedicated to them as of now. Our language storage contains: Japanese, Korean, English, Spanish, and Vietnamese. That's probably all the languages that our members can speak. Is everything here completely non-profit? Our subbed videos are completely FREE. Anyone attempts to redistribute our subs with profit intentions will get negative results. Do not think that we won't find you. Our members love to browse through the net and dig through everything. Where are your sources to pictures? It varies since we basically look everywhere for scans and pic. Forum sites sometimes have great posts and those are where we get our links from. Also, fan sites post up fan-cams, and sometimes high quality scans. We only post up the pictures with copyrighted tags on them unless we have a direct link to the owner of those pics. Further questions shall be answered later on. Thanks for supporting us.